STONE MOUNTAIN GA (30 July 2014) – Friends of Disabled Adults and Children (FODAC), a non-profit organization providing over $10 million annually in durable medical equipment (DME) and supplies to the disabled community, today announced the addition of wheelchair- accessible van service and sales provider Custom Mobility to its network of home medical equipment (HME) collection sites. 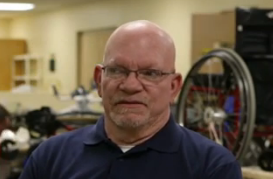 Effective immediately, donors can bring gently used HME, such as wheelchairs, walkers, crutches and shower benches, to Custom Mobility, where it will be picked it up and delivered to FODAC’s headquarters in Stone Mountain, Georgia. FODAC collects, repairs and redistributes over 5,000 HME items to the public each year at little or no cost to the recipient. Much of the HME FODAC supplies to the disabled community comes via donations, with a large amount coming from individual donors, who are looking to provide a “second life” to items like wheelchairs, crutches, and shower benches that are no longer being used. Many of these items come through FODAC’s HME collection network that includes 28 drop-off sites in metro Atlanta, Augusta, Columbus and Macon, as well as Columbia, South Carolina. Custom Mobility is located at 315 Whitehead Road in Athens, Georgia. Those persons wishing to donate used HME to FODAC can drop off items at Custom Mobility during normal business hours, Monday through Friday 8:30 a.m. to 5:00 p.m. and on Saturdays by appointment. For more information on Custom Mobility, contact Ross White at 706.353.1099 or 800.424.7797, or http://www.custommobility.net.